Shopping for Superman Vinyl Figures? The Monster of Steel! You look super, Babo! Uglydoll and DC Comics join forces to bring you Babo as Superman. Measuring about 3 3/4-inches tall, adorable Babo is dressed in Superman's modern blue and red costume. 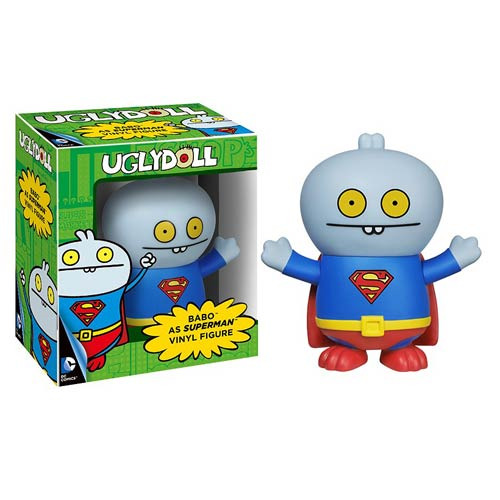 Take home the DC Comics Superman Uglydoll Babo Vinyl Figure today! Ages 14 and up.